As we happily skipped down a New York street last week, with our new winter boots in hand there was one recurring thought. The soles were so slippery we could not even walk on the carpet in the store. As this is one of the reasons that Save Your Sole was founded, a trip to the cobbler was in required before we wore the shoes down the street. But of course – like any shoe lover we couldn’t wait to wear the new boots. So making sure that we didn’t fall on the street we carefully walked around until the shiny painted sole had been scuffed. 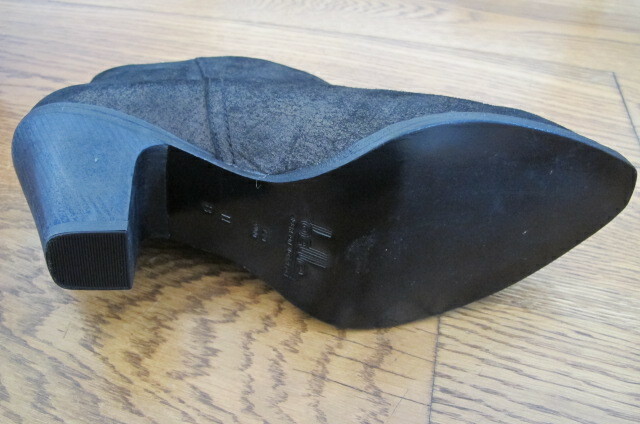 If you have ever been to a shoe repairer and watched the process of a rubber sole being applied you will see that they scuff the soles before applying the sole so that the glue has something to adhere to. 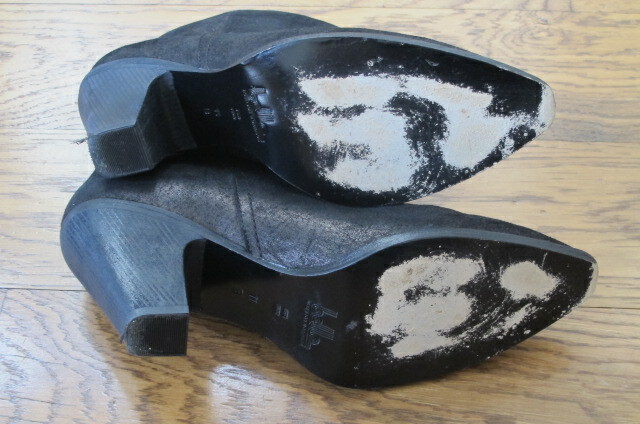 But the risk in doing this yourself is that you ruin the shoe before the rubber sole goes on and then the cobbler has to repair the damage as well. We all know that ruining a pair of shoes on the first outing can be heartbreaking. But I know how to be careful. Sometimes. So after a quick trip to the shoe repairer our shoes now have new Save Your Sole black vibram soles and applying some Black Touch Up Sole Paint to the scratches on the soles we are more than ready to hit the streets. 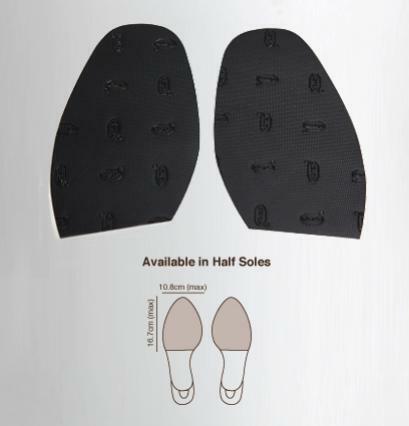 from www.saveyoursole.co.uk with next day shipping worldwide from £10.95 per pair.